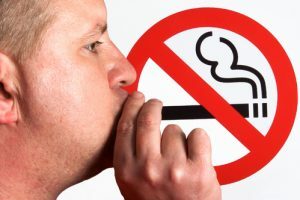 Recently, a legislation has passed, whereby smoking in vehicles with children under the age of 18 has been prohibited. The law has been passed in England and Wales and is meant to protect young people and children from the harmful effects of smoking. 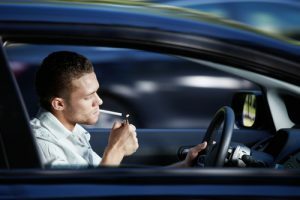 A hefty fine of £50 would be placed on both the smoker and the driver if caught smoking. Moreover, this law is applicable on all smokers without any discrimination. In fact it also applies to those drivers who are aged 17 or those who drive with a provisional license. chemicals which penetrate their body owing to the intake of this second hand smoke have many serious implications. They might become vulnerable to diseases such as cancer, pneumonia, bronchitis and meningitis. Also, this second hand smoke can also trigger asthmatic conditions. Therefore the passing of this car smoking ban becomes not only justifiable and rational but a very wise decision as well. Hereby we have listed the intricate details of this car smoking ban which will delineate the conditions under which this ban is applicable and those conditions under which it is not. Private vehicles having a full or partial roof. In case the window or sun roof is open. In case the air conditioning is turned on. Someone sitting smoking in his/her vehicle with its doors open. Drivers of 17 or older driving in their own cars and are completely on their own. Convertible cars with their roofs pulled down. While a lot of people have hailed the ban on car smoking as a tremendous victory, a lot of people have criticized it as well, claiming it to be an intrusion on people’s privacy and an unnecessary and excessive piece of legislation. Simon Clark has criticized government for this step and deployed the analogy of a sledgehammer being used to crack a nut. According to him a lot of people are already considerate enough so as not to smoke in front of children. Higgins, the Assistant Chief Constable of Scottish Police said that reducing or preventing traffic fatalities ought to be the police’s priority. He further spoke on behalf of the entire police department that enforcing this law would be really daunting. Police are encountered with a dire challenge. Whether to attend to burglaries or stop people from smoking in cars? How does Passive Smoking affect you? According to the statistics given by the British Lung Foundation, each week almost 430,000 children become exposed to second hand smoke. Research claims that secondhand smoke comprises of approximately 4000 chemicals, many of which are known to be carcinogenic. These chemicals not only have the capability of causing cancer but they can also lead to a number of chest infections and other diseases. This smoke has the tendency to stay in the air for a couple of hours even when the window is open, thus creating a high concentration of toxins. In fact, the concentration of toxins inside the vehicle is deemed to be approximately 11 times higher than that in a bar. This law is to be applied in all parts of England and Wales. It is already present in certain states of US, Canada and Australia. Northern Ireland would probably follow suit. There’s no denying the fact that it is there for a good cause and is probably needed a great deal as well. But the important questions to be asked are that whether or not this law will work and in what ways will it affect us? Enforcing this car smoking ban is going to be extremely challenging since it has dual-pronged goals. One goal is undoubtedly public protection but the other and greater one is to make the custom of smoking socially unacceptable. The approach of police towards this car smoking ban is also of vital importance. A very pertinent question is that how do they choose to deal with this situation. As yet the police has stated that it would be having a light-handed approach initially and would give warnings at first instead of issuing fines to spread public awareness. We at Car Cosmetic Solution Ltd. want the very best for you. The crux of our service is customer welfare and customer satisfaction. We understand the underlying importance of this law. We also understand that there is no risk-free level of exposure to secondhand smoke. We also realize the fact that children are vulnerable and thus their risk of incurring diseases as a consequence of exposure to second hand smoke is relatively high. As yet there is no guarantee as to what extent will the law be actually applicable or successfully enforced. A lot of factors do combine to make it a tad flaky but nevertheless this is our responsibility as citizens of the world to protect our children’s future. Though there are quite a large number of loopholes in this work of legislation, however we still ought to abide by this law since it eventually means our and our children’s own good. The law is definitely going to affect people who smoke while driving or who smoke in vehicles yet all you have to remember in order to abide by this law, is the fact that your future lies in the future of your children. A healthy environment is the best inheritance which you can possible pass on to them. So, make your driving experience a perfectly safe, healthy and toxin-free by paying heed to this car smoking ban. Thank you. 2016 Ford GT Car Review	Car Body Repair Costs – What to Expect?